I adapted this rotti recipe from Shyamala Kini akka,admin of a food group named as Konkani Amchi Food,where I got the exposure to exhibit my culinary talent for the first time in my life.She has very innovative recipes and they are so tempting that one cannot resist without trying the same.I have bookmarked most of her recipes which I will post in the coming days.This rotti is best served with poha chutney that is beaten rice dish.In Mangalore,Taj mahal is a famous restaurant where they serve traditional Konkani food.I served this rotti with Potato bhaji.This is a similar recipe of my Theek puri but the only difference is, banana is added here and that makes a great difference. Knead the dough with all the ingredients mentioned above except oil. 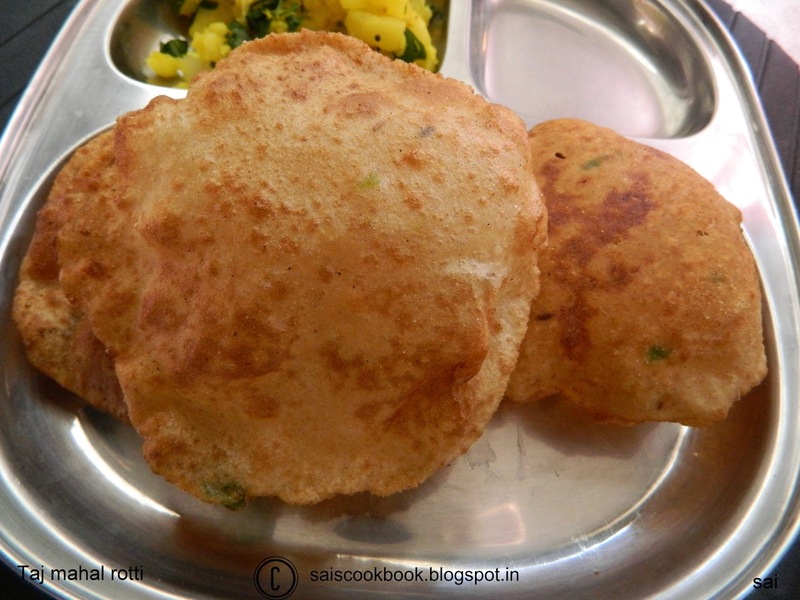 Pinch the dough into small balls and roll it into puris. Heat oil and deep fry it on both sides. Serve it hot with bhaji or poha chutney. This is a good post. 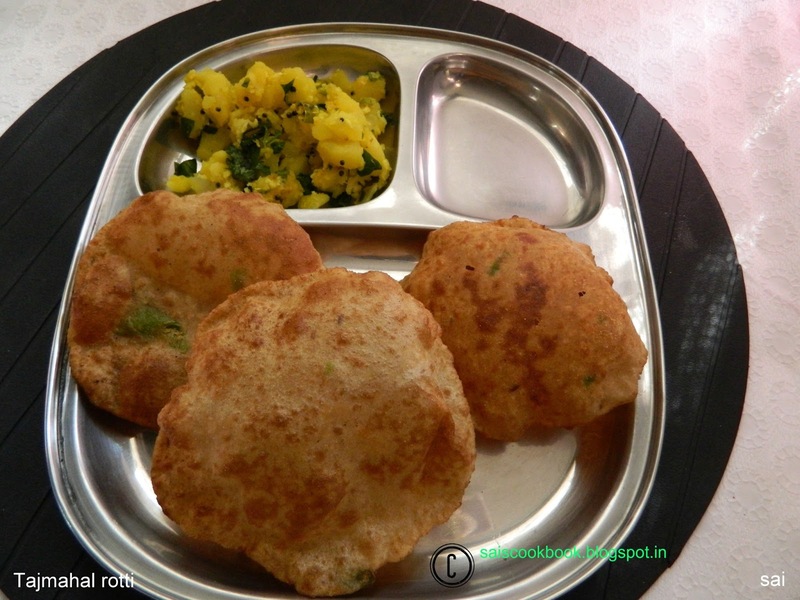 The procedure used to make them is similar to Mangalore buns.